Panentheism is among the most influential variations on classical theism found within nineteenth and twentieth century theology, a prominent perspective in the recent religion and science dialogue (especially in the literature on quantum physics and special divine action), and is increasing in prominence within analytic philosophy of religion. Existing works on the history of panentheism understandably focus primarily on proponents of the view (in its different versions) and their arguments in its favor. Less attention has been given to the history of arguments against it, and in particular little has been written on mediaeval Scholastic critiques. Here, I summarize the criticisms leveled by an important (but understudied) thirteenth-century Franciscan, Alexander of Hales. I also assess the enduring value of his critique, arguing that it helps bring to the fore the importance of panentheism’s link with a further metaphysical debate: that between spacetime relationism versus substantivalism. I would like to extend my sincere thanks to Daniel Shields for his extensive input on an earlier draft of this paper. He provided helpful philosophical feedback and also preserved me from several translation errors. 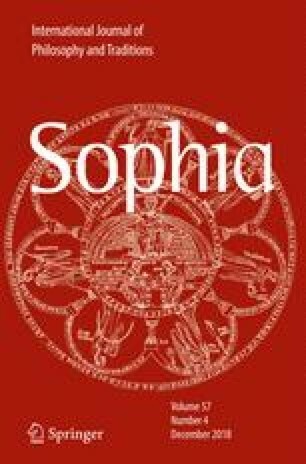 Thanks are also due to David Twetten for helpful correspondence, and to several anonymous referees for Sophia. Thomas Aquinas (n.d.). Commentary on the Sentences. Accessible online via www.corpusthomisticum.org. Thomas Aquinas (1920). Summa Theologica. translated by the Fathers of the English Dominican Province. Accessible online via www.newadvent.org.